On the 28th of January 1939, William Butler Yeats departed the world of the living, and this year will mark the 80th anniversary of his passing. One of the most famous poems of Yeats is The Lake Isle of Innisfree, a poem which champions a life of serenity on an island in a Lough in the west of Ireland. The twelve line poem from the pen of Yeats made it’s debut on December 13th 1890 when it was published in The National Observer. The poem is drenched in the aura of the Celtic revival which Yeats smothered himself in at the time. 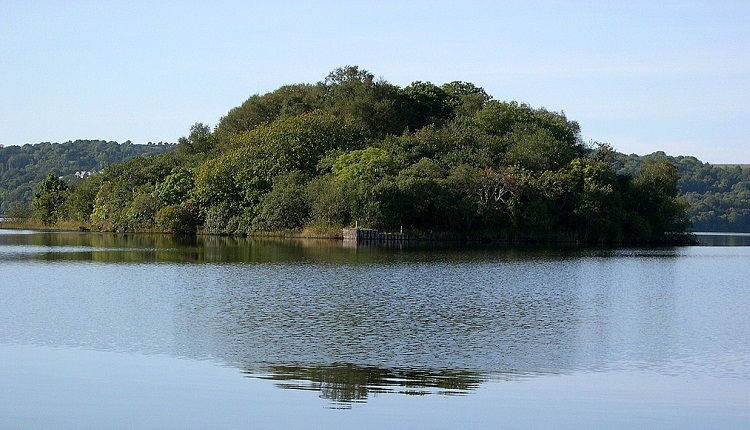 The subject of the poem is a small uninhabited island located in the middle of Sligo’s fresh water lake Lough Gill but, the inspiration for the poem arose far from the peaceful setting of Ireland’s North West. One evening in 1888 while strolling down Fleet Street in London, a homesick Yeats was suddenly struck by a memory from his childhood. Amid the hustle and bustle on the streets of the English capital Yeats noticed a fountain in a shop window which instantly brought him thoughts of his Summers in Sligo as a child. With those nostalgic thoughts swimming in his mind he went off and wrote The Lake Isle of Innisfree. The poem has today found it’s way into all forms of modern media. The poem even reached into the world of cinema and television. Clint Eastwood reads the poem to Hilary Swank in the Oscar winning film Million Dollar Baby. Swank’s character lays in hospital after a terrible injury while Eastwood who plays her boxing coach reads her the poem. The funny thing about this one is that Eastwood’s character went out of his way to translate the poem from Irish to English. In reality, Yeats never wrote the poem as Gaeilge. The fact is that Yeats supported the language but could never grasp it himself. In the science fiction TV series Fringe, the final episode of the fourth series saw Leonard Nemoy’s character Doctor Bell recite the first stanza of the the Lake Isle of Innisfree while planning to do something dastardly with the universe. Back on the big screen the poem is recited by Colm Meeneys character in the 2008 black comedy Three And Out, just before he gets hit by a train. In 1989 Kildare born artist Tim Booth made a short and somewhat trippy animation film called The Prisoner based on The Lake Isle of Innisfree. In 2011 The Waterboys recorded a bluesy rendition of the famous Yeats poem for their album An Appointment with Mr Yeats but, the reception it received from critics was as cold as the lapping waters on Lough Gill. The Lake Isle of Innisfree is just one of many poems of William Butler Yeats still quoted to this day, even 80 years after Mr Yeats did arise and go.